TebWeb 360 Photo-Video Production – Content and tools for the emerging 360 Photo/Video Market. 6 Camera GoPro Hero5 Sessions in a 3D Printed housing. In the Philadelphia region, I am available with gear for 360 photography and video production services. Documentaries, Live Events and Weddings, Real Estate Property Showcases, Google Street View, Business Promotions,VR productions. 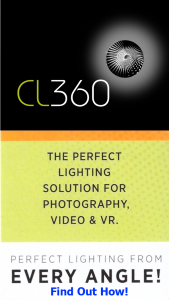 Using exclusive patent pending technology I am able to provide 360 flash photography to properly capture events, weddings, anything in a low light environment that’s been traditionally difficult to do well in 360. Featuring a video system shooting in 8k resolution for outstanding video quality, with or without headsets. Full editing services also available. Let me help you open up the emerging world of 360 video & photography! Full post production services for 360 video. One of the latest 360 samples. Originally recorded in 8K, output as 4K. See my Veer VR Channel for many more examples.